Update, March 21st: AMD have release a new set of Catalyst™ drivers, version 15.3 beta, which include a potential fix for the rigged mesh issues, negating the need for this workaround – see my notes here. 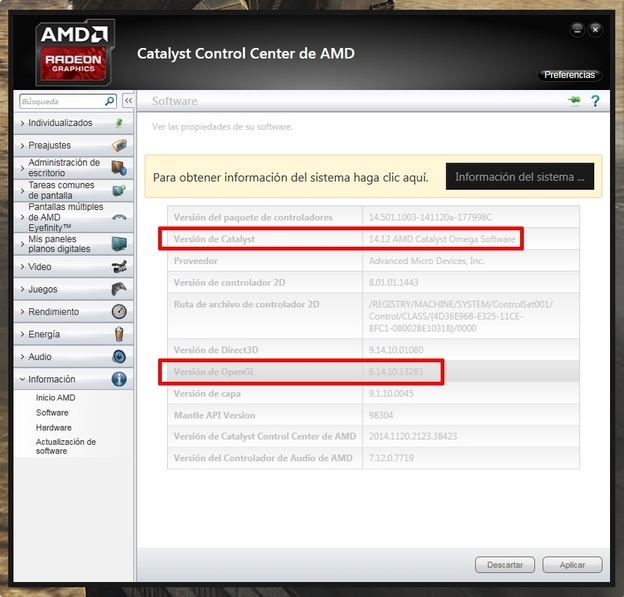 Update, Sunday, December 14th: user DMC Jurassic reports that the process outlined below can also be used with the OpenGL .DLL files from the AMD Catalyst 14.4 drivers. However, no ZIP file of the extracted DLLs are currently available, so Yoho’s notes at the end of the article will need to be followed to obtain them. Also note that Singularity have issued a supplemental update to address mesh rendering issues. On Tuesday, December 9th, I blogged about the continuing issues impacting those with AMD GPUs using the latest Catalyst and Omega drivers. 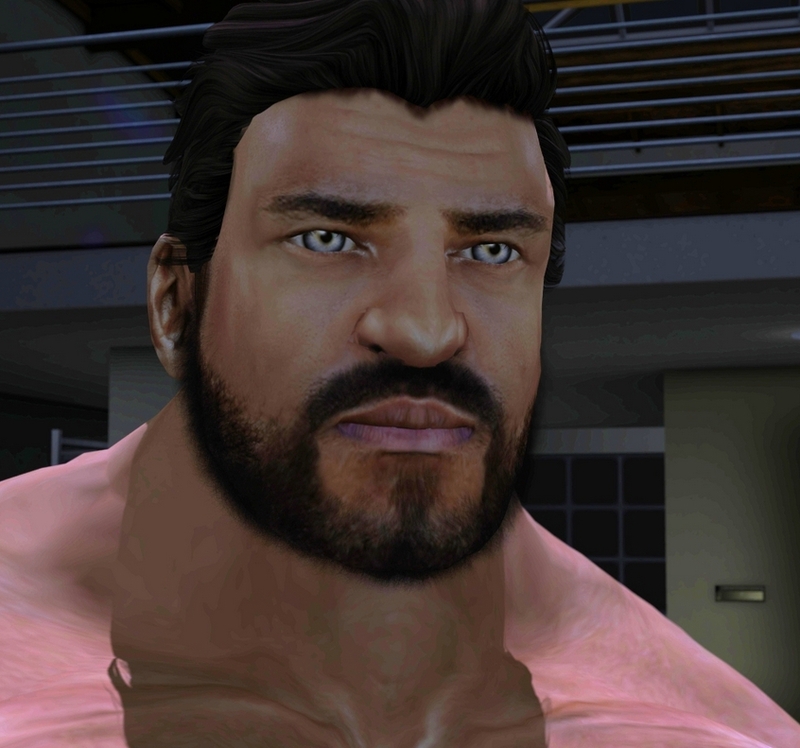 Second Life resident, and contributor to this blog, Yoho Waco offered a workaround to the problem for Windows users who would prefer to use the latest Catalyst drivers, rather than rolling back to an earlier version. The workaround should fix the mesh rendering issue, and while Yoho uses Windows 7 64-bit, the basic approach should work with all flavours of support windows, 64-bit and 32-bit. I can’t actually test it myself, as I use Nvidia, but feedback indicates it works well, and so with Yoho’s permission, I’m reprinting his instructions here so that it might get broader visibility. 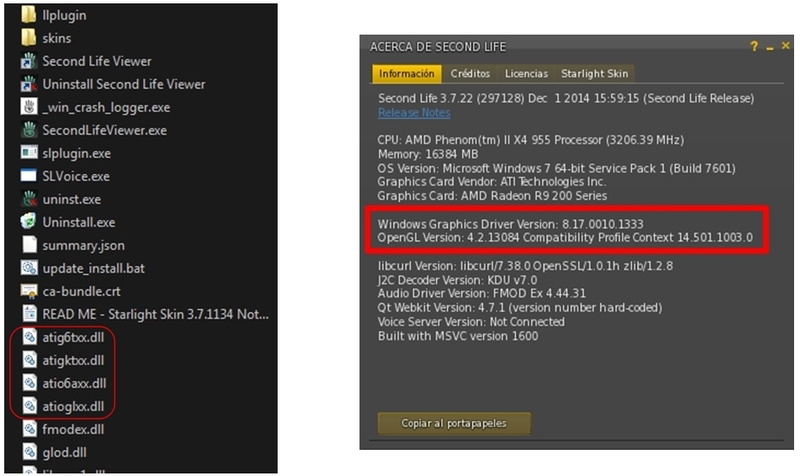 It seems that the problem is in the OpenGL version has the new driver 14.12. It works perfectly, no problems or fall FPS. Yoho provides the required files in a ZIP file users can download – just copy them to your viewer’s installation folder, as he notes above. Note that if you’re using a viewer other than the official SL viewer, you’ll need to drop the files into the relevant installation folder, rather than .\SecondLifeViewer (e.g. in the case of Windows 64-bit, instead of dropping the files into C:\Program Files\SecondLifeViewer, you would place them in C:\Program Files\[name of your viewer]). I had to install version 14.9 on my computer and search for the files inside C:\Windows\System & C:\Windows\System32. Once copied, I completely uninstalled the version of the Catalyst 14.9 drivers and reinstalled the new version 14.12 Omega drivers. I used and application called DDU, as it is best to fully uninstall a driver to avoid conflicts. However, this is all very complicated, so I published my DLLs [in the dropbox link above] so users can access them and copy them to their viewer. Do note that this workaround won’t solve the shadows issues which occur with the Catalyst 14.9.x drivers (see BUG-7947 and BUG-7627), however, Yoho informs me that when he has the time, he may try to see if he can use the OpenGL DLLs from the 14.4 drivers to see if they can be used in this approach to resolve issues, both with mesh rendering and with shadows. In the meantime, those who would prefer to use the latest drivers and have tried this approach state it works, but as always, your mileage may vary, and the workaround is offered without liability or responsibility on either Yoho’s or my part. My thanks to Yoho for his work in this and notifying me. Yes. Equivalent 14.4 dll files fix mesh and shadows. Great! thanks for that, I’ll update! DMC Jurassic please, zip and upload the DLL’s, so it saves me back to uninstall the Omega version. i double that. it would be awesome to be able to use shadows more often. Thanks apolloscribe, here too I leave my version… are the same files, but just in case you lose. Works great, solve errors shadows and mesh selection (BUG-7947 and BUG-7627). thanks very much your fix worked on 14.12. I’m going to try the next one. After ten days of frustration, and a week of troubleshooting everything I could imagine, finally I found this article. I downloaded the zip file, put the dlls into the Firestorm folder, and suddenly everything looked right again! Hahaaa!! This definitely works, thank you! Leaving aside the AMD issue, which is outside of the Lab’s hands, if they don’t update the viewer, it doesn’t get fixed. That’s the purpose of a lot of updates ;-). Just a heads up though, I just found out from the Firestorm support group in-world, by their moderators, that if you do this method, they WILL NOT support you if there’s viewer issues in the future. They will tell you to deal with those issues on your own. Yup… the singularity update is covered here 🙂 . Worked with my AMD Radeon R9 M265X on my UHD display. My system is running 14.501 with this workaround just fine.